Sometimes a small bit of inspiration can go a long way. 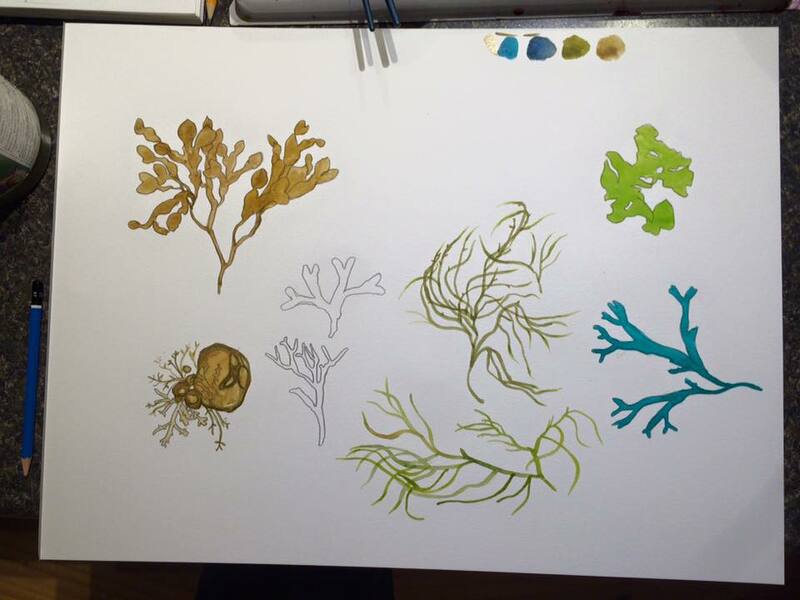 I recently began taking a closer look at seaweed and each study has led to more ideas. 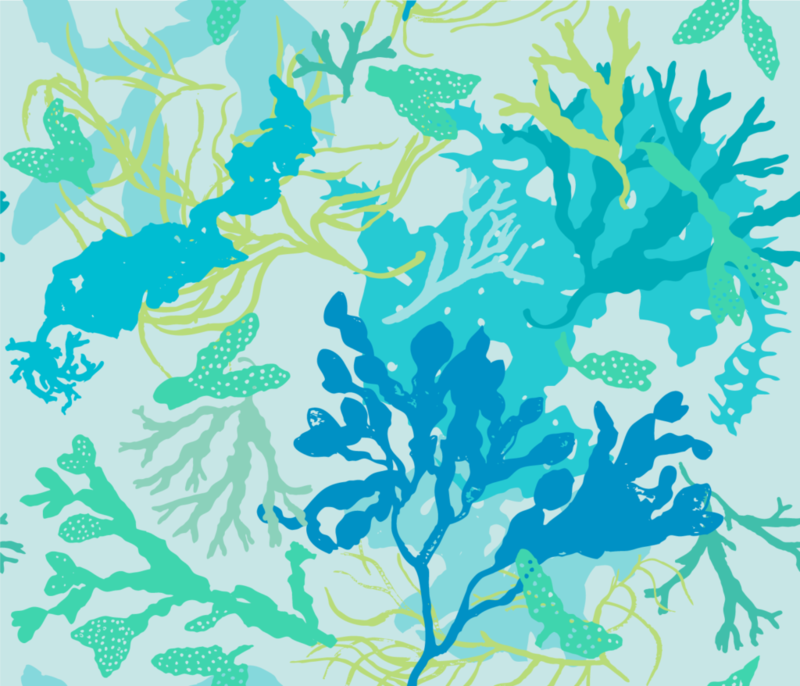 My first project was to design a fabric collection incorporating some illustrated marine plants. I have two small children and don’t often have the luxury of sitting for hours at the beach to draw. So I did some quick sketches on location and then gathered samples that had become detached and floated in with the tide. I brought them home and filled a cooler with salt water to keep them looking natural and was then able to draw and paint from observation in the evenings. I really wanted the seaweed to look like it was underwater. I love how they look flowy and weightless in the ocean—washed up on the rocks they lose a bit of the magic. 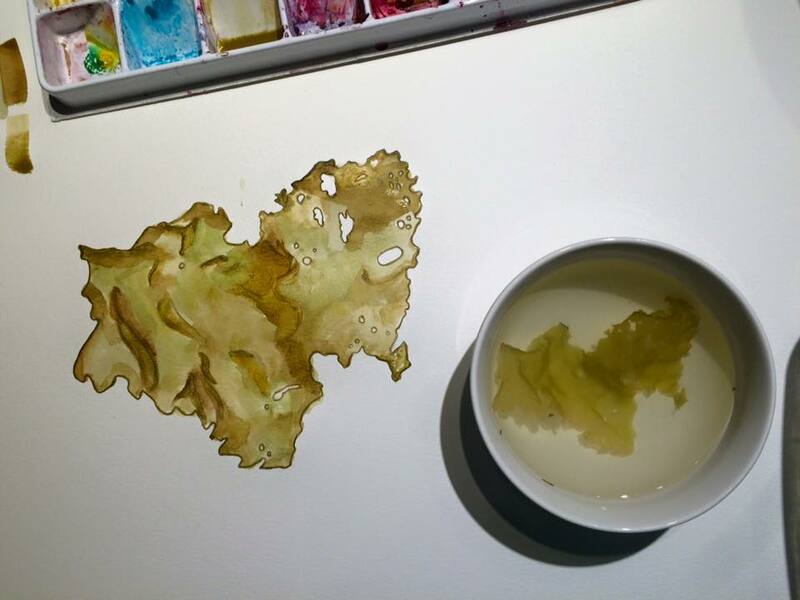 So for each specimen I would place it in a bowl of water to observe as I drew or painted. Two species of seaweed, intertwined and mingling in a seamless underwater repeat. Have a look at Seaweed Mingling in my shop. Whimsical specimens of rockweed / bladderwrack / popweed – nature’s bubblewrap. 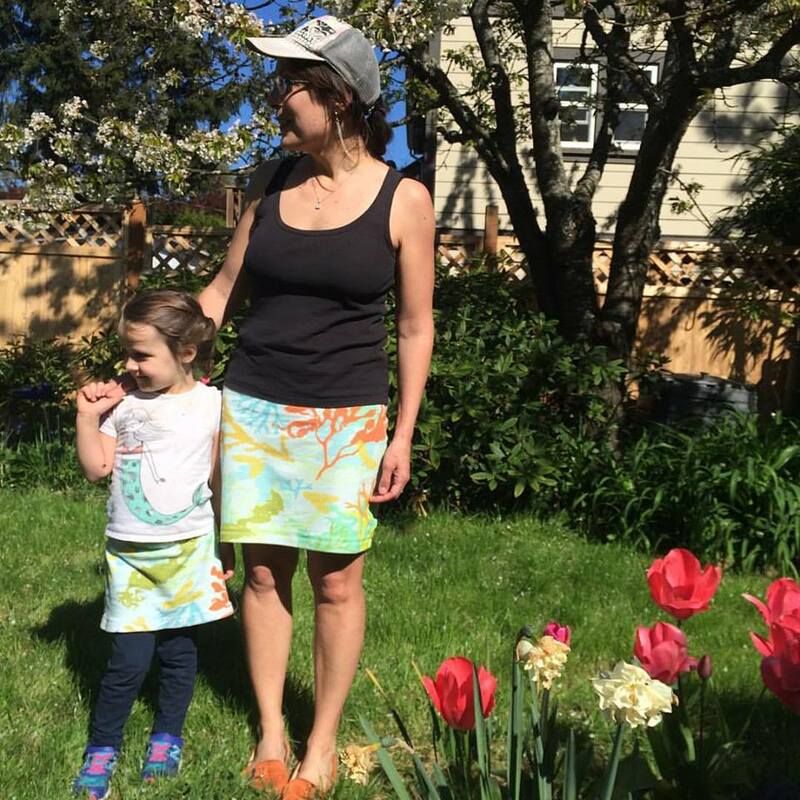 Fun chevron ‘V’ shapes create a geometric repeat with an organic feel. 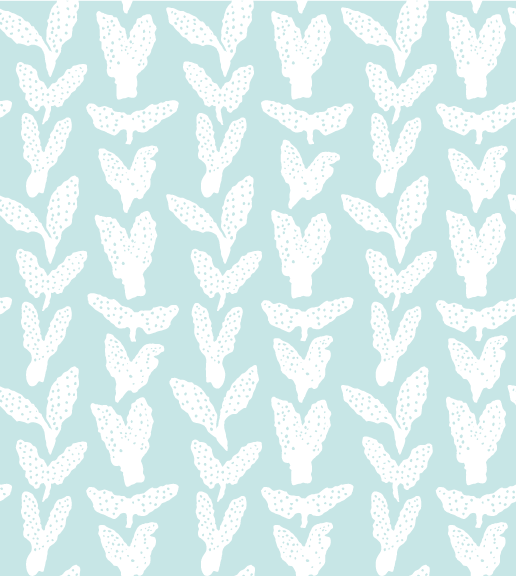 This one is also available for purchase as fabric or wallpaper in my Spoonflower shop. Seaweed drift was my first seaweed linocut – an 18″x12″ graphic interpretation of bladderwrack (the “popper” seaweeed). I did quite a few drawings before transferring to the block to carve to get the spacing I was looking for. The carving itself was quite time consuming on this one with all the tiny dots in the seaweed. I love the play of positive and negative space in this one, and the sense that the shapes are floating. In 2016 I was a participant in an outdoor art competition hosted by Opus Art Supplies (my favourite art store!) in Victoria BC. Artists set up in a designated area and had 5 hours to complete their piece. 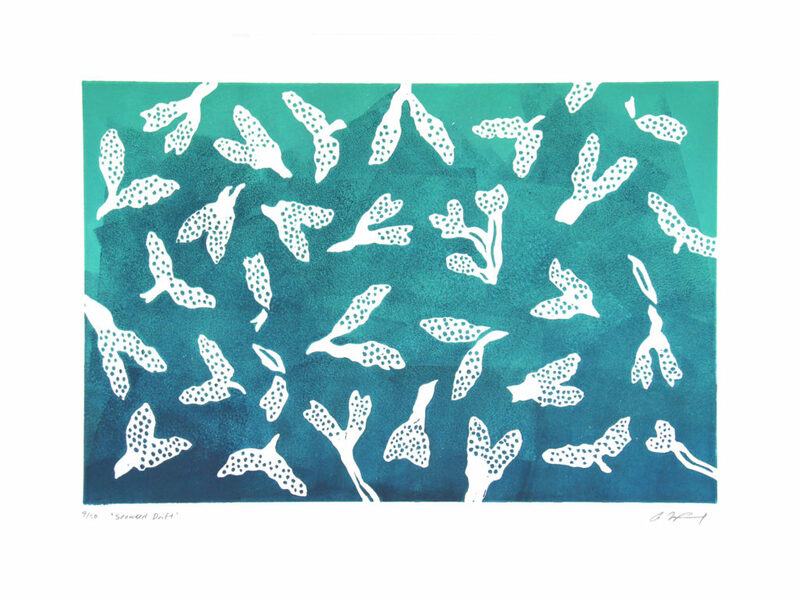 I was the only printmaker of the bunch and I created this piece called ‘Kelp twirl‘. I set up on a little beach with an artist friend and sketched the design, carved and printed it all right at the beach, using seaweed on location for reference. It was such a blast and I’m totally hooked on outdoor art making! 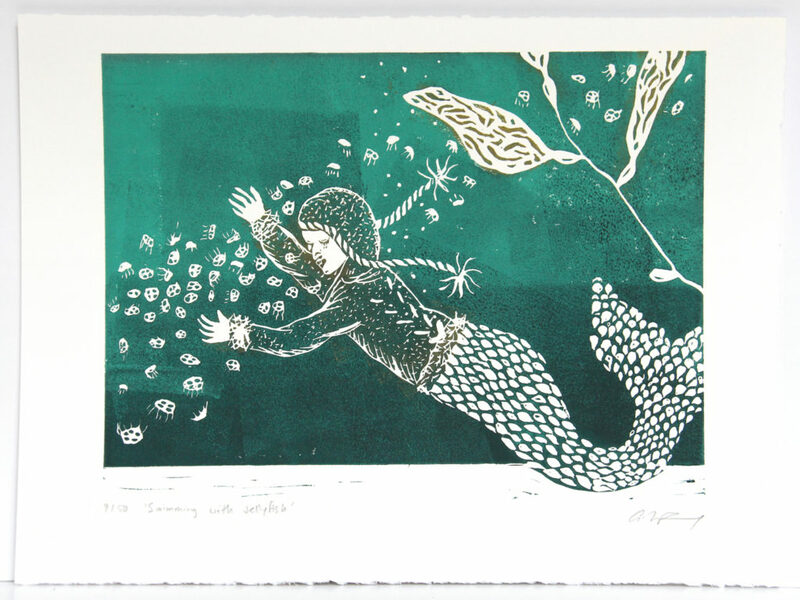 I also incorporated some kelp in this ‘Swimming with Jellyfish‘ print – my take on a west coast mermaid. And I still have more seaweed ideas. 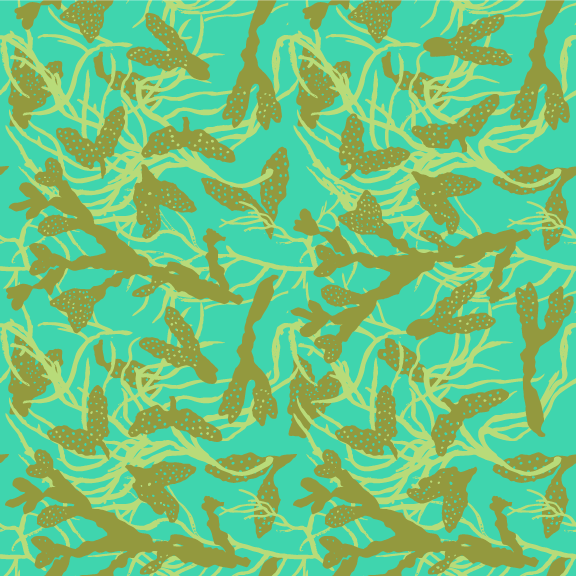 I would like to create a larger print in the same style as ‘Kelp twirl’ to pair with “Seaweed Drift”. 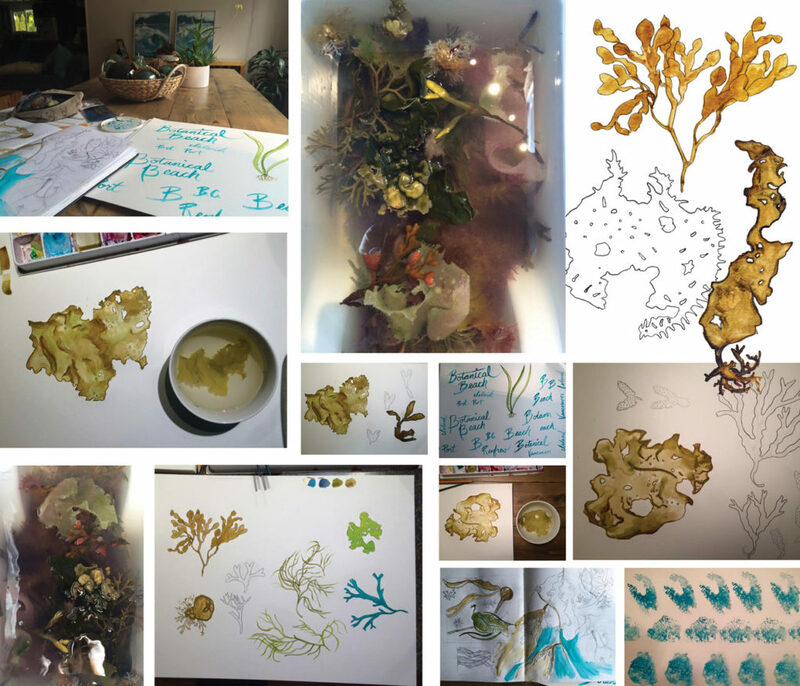 To finish off here is a collage of some of the exploratory work for my seaweed inspired work.